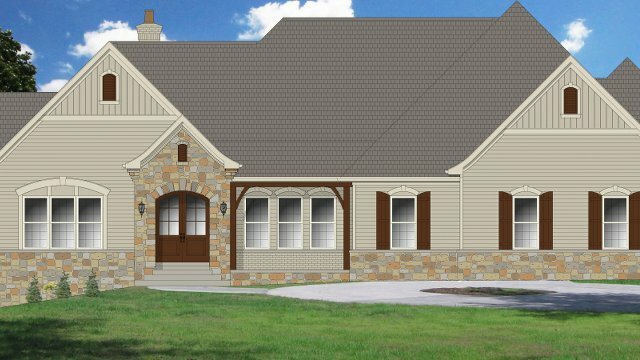 "This home will meet the needs of the new owners who are looking for a comfortable, energy efficient home that also delivers a high level of indoor air quality," said Kim Hibbs, CEO of Hibbs Homes in Chesterfield, Missouri. "The home was designed as a system featuring off-the shelf building products and advanced construction techniques to ensure greatly reduced energy and water usage," said Matt Belcher, principal with Verdatek Solutions and Director of the High Performance Buildings Research Center at the University of Missouri-Columbia. Notable green building features include: Mattingly Lumber & Millworks factory-built walls and trusses, Dow Building Systems spray foam insulation, continuous slab insulation, Huber Engineered Woods Zip System wall sheathing, a geothermal heating and cooling system, Metal Sales metal roofing and Zehnder America energy recovery ventilation, and Kohler low-flow plumbing fixtures, and Marvin Windows. Also, the home will be built to be ready for solar power and solar water heating. In a partnership with the High Performance Buildings Research Center at the University of Missouri-Columbia, the Proud Green Home at St. Louis will be featured as part of the green building curriculum for students, including long-term energy and water usage monitoring. 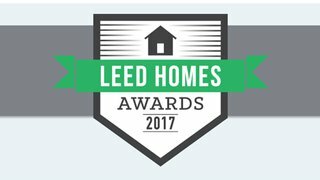 Read more about the multiple award-winning Proud Green Home at Serenbe. "The Proud Green Home program educates and inspires homeowners and building professionals to create high performance homes across the spectrum of the market," said Robert Fincher, CEO of Sustainable Community Media, publisher of ProudGreenHome.com. The neighborhood where the Proud Green Home at St. Louis is being built has original Indentures from 1897 that expressly stated the desire to maintain the “ecological and rural aspects” of the subdivision. "We believe the makers of that Indenture would be greatly pleased at the focus on this goal we bring to this and all of our projects," Hibbs said. The home was designed with the latest building science to ensure durability as well as offer high performance with good value for the homeowners. "The focus was on creating a high performance building envelope, the part of the home that will be there the longest," Belcher said. "We incorporated the design of the mechanicals, electrical and plumbing systems within the building to optimize performance and materials efficiencies. The design and materials mitigate water issues, and the home will deliver a very high level of indoor air quality for the residents." Read more about the new Proud Green Home of St. Louis.